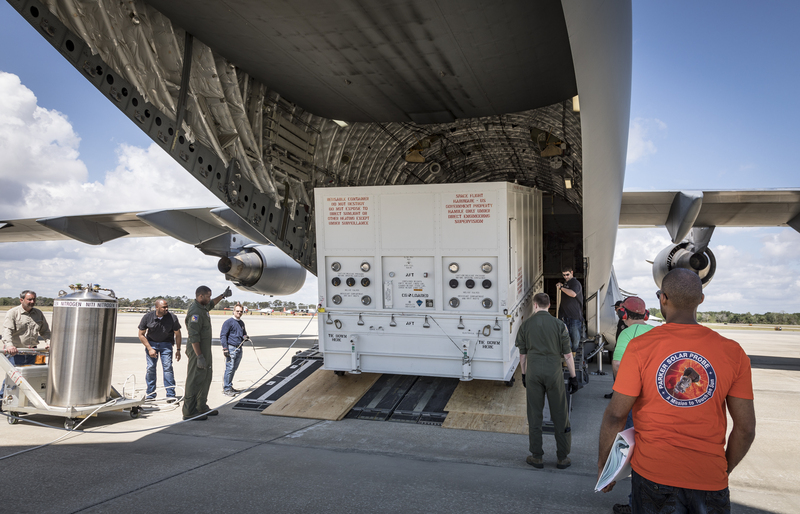 The custom shipping container holding NASA’s Parker Solar Probe is prepared for unloading from the C-17 of the United States Air Force’s 436th Airlift Wing after landing at Space Coast Regional Airport in Titusville, Florida, on the morning of April 3, 2018. After unloading, the spacecraft was taken to Astrotech Space Operations, also in Titusville, for pre-launch testing and preparations. 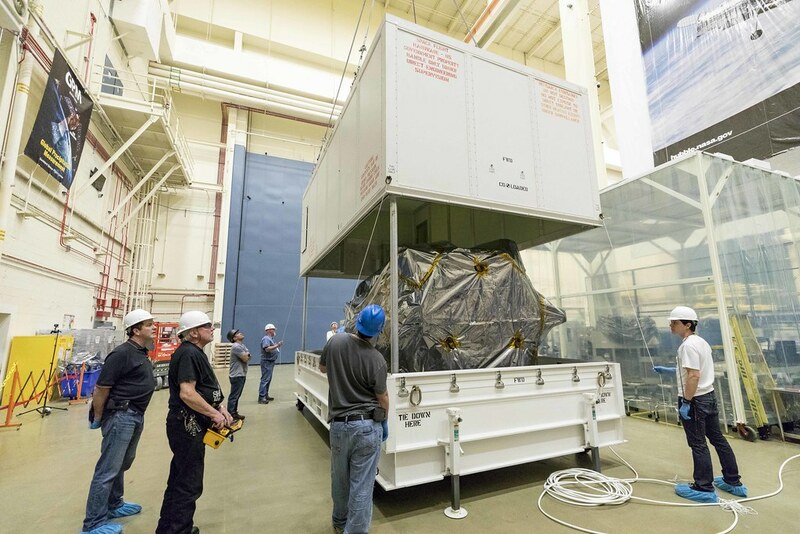 Parker Solar Probe – wrapped in protective plastic – is shown on March 29, 2018, as the lid is lowered onto its shipping container at NASA’s Goddard Space Flight Center in Greenbelt, Maryland. The spacecraft is shipped on its side to allow for more easy transport and to avoid height-related obstacles such as bridges. 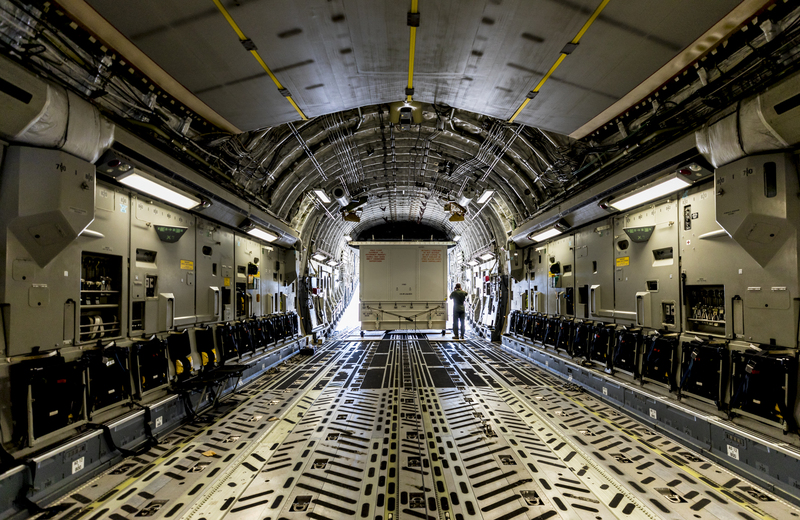 From Goddard, the probe was taken by truck to Joint Base Andrews in Maryland and flown to Florida aboard a United States Air Force C-17. And scroll the NASA Events in the upper right of the page. to your contact list if the email doesn't show up quickly. From that stage you click the link, which takes you to a "thank you" kind of page, THEN yet another link to get your actual ticket image in .pdf. It can take up to 4 hours to get your email....depending on the time of day ( at the server's location ) the entry is submitted because they probably only have the one email program. Hey ! Nice you got a ticket ! I suppose availability is going to be very low, isn’t it ?